The dedication of the Heliodorus pillar was made by Heliodorus, ambassador of the Indo-Greek king Antialcidas (here depicted on one of his coins). The Heliodorus pillar is a stone column that was erected around 113 BCE in central India in Vidisha near modern Besnagar, by Heliodorus, an Indo-Greek ambassador of the Indo-Greek king Antialcidas in Taxila to the court of the Shunga king Bhagabhadra. Historically, it is one of the earliest known inscriptions related to the Vaishnavism in India. The site is located about 60 kilometres (37 mi) northeast from Bhopal and 11 kilometres (6.8 mi) from the Buddhist stupa of Sanchi. The pillar was surmounted by a sculpture of Garuda and was dedicated by Heliodorus to the god Vāsudeva in front of the temple of Vāsudeva. According to Rawlinson, the colonial British era historian, locals called it the Khamba Baba or Khambaba. The pillar was first discovered by Cunningham in 1877 near the ancient city of Besnagar in neighbourhood of Vidisha, but the inscription itself, hidden under a thick crust of vermilion covering the shaft, was only discovered later by John Marshall. There were other pillars in the area as at least three capitals were discovered. Ruins of an elliptical temple were also found in the immediate vicinity of the pillar. There are two inscriptions on the pillar, located around the pillar, at the same level under the middle decorative band, on five of the six faces of the pillar. The inscriptions have been analysed by several authors, such as E. J. Rapson, Sukthankar, Richard Salomon, and Shane Wallace. in the fourteenth year of his reign." lead to heaven: self-restraint, charity, consciousness"
"This Garuda-pillar of Vãsudeva, the god of gods, was constructed here by Heliodora, the Bhãgavata, son of Diya, of Takhkhasilã, the Greek ambassador who came from the Great King Amtalikita to King Kãsîputra Bhãgabhadra, the Savior, prospering in (his) fourteenth regnal year. (These?) three steps to immortality, when correctly followed, lead to heaven: control, generosity, and attention. King Bhagabhadra, who is said to have welcome ambassador Heliodorus, may have been the 5th ruler of the Sunga dynasty, as described in some Puranic lists. The Heliodorus pillar inscription, made by Heliodorus circa 110 BCE. 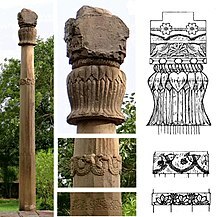 The design of the base of the capital with bell-shaped lotus, the cable necking, and the abacus with pecking-geese and honey-suckle designs are in direct prolongation of the artistic choices made in the pillars of Ashoka, with some variations such as the prismatic structure of the pillar or the details of the carving, generally less fine than those of the pillars of Ashoka. It is also about half smaller in diameters than the pillars of Ashoka. The Heliodorus pillar, being dated rather precisely to the period of the reign of Antialkidas (approximately 115-80 BCE), is an essential marker of the evolution of Indian art during the Sunga period. It is, following the Pillars of Ashoka, the next pillar to be associated clearly with a datable inscription. The motifs on the pillar are key in dating some of the architectural elements of the nearby Buddhist complex of Sanchi. For example the reliefs of Stupa No.2 in Sanchi are dated to the last quarter of the 2nd century BCE due to their similarity with architectural motifs on the Heliodorus pillar as well as similarities of the paleography of the inscriptions. A remaining fragment of the Garuda capital is located at the Gujari Mahal Museum in Gwalior. Professor Kunja Govinda Goswami of Calcutta University concludes that Heliodorus "was well acquainted with the texts dealing with the Bhagavata religion." Based on Helliodorus pillar evidence it has been suggested that Heliodorus is one of the earliest Westerners on record to convert to Vaishnavism whose evidence has survived. But some scholars, most notably A. L. Basham and Thomas Hopkins, are of the opinion that Heliodorus was not the earliest Greek to convert to Bhagavata Krishnaism. Hopkins, chairman of the department of religious studies at Franklin and Marshall College, has said, "Heliodorus was presumably not the earliest Greek who was converted to Vaishnava devotional practices although he might have been the one to erect a column that is still extant. Certainly there were numerous others including the king who sent him as an ambassador." Structure and decorative elements of the Heliodorus pillar. The pillar originally supported a statue of Garuda, now lost, or possibly located in the Gujari Mahal Museum in Gwalior.. Established circa 100 BCE. According to Allan Dahlaquist, an alternate interpretation of the inscription is possible. Buddha too was called a Bhagavan, and Heliodorus originated from Taxila where Buddhism was strong. At the time of Dahlaquist 1962 publication, he stated there was no proof that a sect of Vishnu-Krishna devotees existed at that time in Taxila. Lastly, according to Dahlaquist, there is no definite evidence that Vasudeva should necessarily refer to Vishnu-Krishna. As god-of-the-god, Vasudeva can well be associated with Indra, who had a key role in Buddhism stated Dahlaquist. Later scholars have questioned Dahlaquist's analysis and assumptions. Kuiper criticizes him for interpreting the dubious source of Megasthenes, ignoring all the "indications to the contrary", and dispute Dahlaquist's treatment of the evidence. 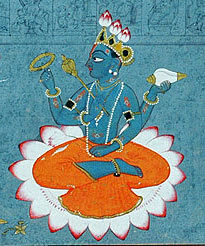 The Greek texts that describe ancient India, have numerous references that suggest the existence of Vishnu-Krishna before the time of Heliodorus. For example, there is little doubt that Methora in ancient Greek texts is same as Mathura, Sourasenoi as Shurasenas, Herakles of India is Hari-Krishna, Kleisobora is Krishnapura. Similarly, early Buddhist sources provide evidence of Krishna worship, such as the Niddesa which mentions both Vasudeva and Baladeva. [note 1] The Jataka tales too include a story on Krishna. Heliodorus may have been a Buddhist, but converted to the Krishna religion when he was serving as an envoy. 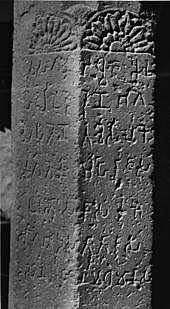 The Heliodorus pillar's inscription is generally dated to the late 2nd century BCE or about 100 BCE, is attributed to Heliodorus, as recording his devotion to the Vaishnava Vasudeva sect. In the 1910s, the Besnagar site was extensively excavated by archaeologists Lake and Bhandarkar for studies along with the nearby Udayagiri Caves and Vidisha sites. This effort yielded a number of additional inscriptions such as one found in Vidisha that mention Bhagavata. In one of those inscriptions, is the mention of another Bhagavata installing a pillar of Garuda (vahana of Vishnu) at the "best temple of Bhagavat" after the king had ruled for twelve years. Relief depicting a portable Garuda pillar, one of the oldest images of Garuda, around the time the Heliodorus pillar was established. Bharhut, 100 BCE. Location of the Heliodorus pillar in relation to Besnagar, Vidisha, Sanchi and the Udayagiri Caves. Sunga pillar No25 at Sanchi, with own capital on the side, dated to the same period as the Heliodorus pillar. A pillar of broadly similar design, Sanchi Pillar 25, can be seen in the nearby Buddhist complex of Sanchi. It is also attributed to the Sungas, in the 2nd-1st century BCE. ^ The dating of Niddesa is a disputed topic. 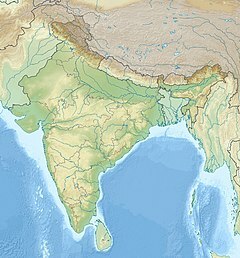 It ranges from the 4th century BCE to post Ashoka period, but no later than the 1st century BCE. ^ Julia Shaw (2016). Buddhist Landscapes in Central India: Sanchi Hill and Archaeologies of Religious and Social Change, c. Third Century BC to Fifth Century AD. Taylor & Francis. pp. xliv, cxliv. ISBN 978-1-315-43263-2. ^ R. Salomon, Indian Epigraphy. A Guide to the Study of Inscriptions in Sanskrit, Prakrit, and the Other Indo-Aryan Languages (Oxford, 1998), 265–7. ^ A. L. Basham, The Wonder That Was India, 3rd ed. (Oxford: Taplinger Pub. Co., 1967), p. 60. ^ Benjamín Preciado-Solís (1984). The Kṛṣṇa Cycle in the Purāṇas: Themes and Motifs in a Heroic Saga. Motilal Banarsidass. pp. 29–30. ISBN 978-0-89581-226-1. ^ a b c d Edwin F. Bryant (2007). Krishna: A Sourcebook. Oxford University Press. pp. 5–6. ISBN 978-0-19-972431-4. ^ For views of most scholars versus Dahlaquist, see e.g. Zacharias P. Thundy (1993). Buddha and Christ: Nativity Stories and Indian Traditions. BRILL Academic. pp. 97 note 49. ISBN 90-04-09741-4. ^ Richard Salomon; Andrew Glass (2000). A Gāndhārī Version of the Rhinoceros Sūtra: British Library Kharoṣṭhī Fragment 5B. University of Washington Press. pp. 14 with footnote 12. ISBN 978-0-295-98035-5. ^ Marhall, "A Guide to Sanchi" p.95 Pillar 25. 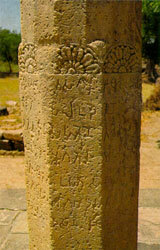 Wikimedia Commons has media related to Heliodorus Pillar, Vidishā, Madhya Pradesh, India. The above list of archaeological sites, inscriptions and temples is grossly incomplete. This page was last edited on 1 December 2018, at 21:53 (UTC).